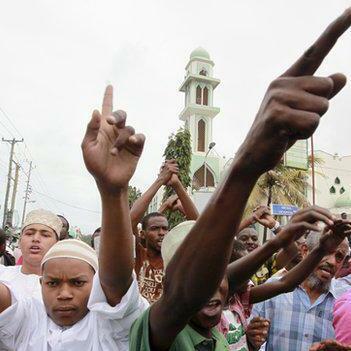 Muslim leaders on Kenya's coast are warning that Islamist extremism is on the rise. In the ancient port city of Mombasa, the killing last month of a Muslim cleric was followed by days of rioting that left four people dead. Gabriel Gatehouse reports on a region that's caught between economic deprivation and religious fundamentalism.